Mardi Gras will be celebrated on February 28th. A culinary carnival associated with a lot of calories is being planned on 196 flavors. Our first recipe will be king cake! Let’s first talk about this holiday, its traditions and its origins. Mardi Gras is the day that marks the end of shrovetide, the Christian period of preparation before the beginning of the liturgical season of Lent. In many countries, there are very festive parades for a week up to Mardi Gras which will be followed by Ash Wednesday, the day when the Lenten period begins, when Christians have to eat lean. Christian tradition considers Mardi Gras to be the last day of “debauchery”, the day when everything is allowed, before the start of Lent, and it is traditionally celebrated by consuming all the fatty foods that are still in the closet before the so-called period of abstinence. The date varies from year to year as it is fixed relative to the date of Easter. This date is in February or sometimes at the beginning of March, but obviously always falls on a Tuesday and precedes Easter by 47 days. The origins of the holiday are religious, but also pagan. The pagan origins date back to Roman times, during which the calendar started in March, so that the beginning of the year coincided with the revival of nature. Thus, great festivals marked this period of the Calends. Eventually, Christianized populations continued to celebrate the end of the winter on Mardi Gras. The Christian origins of Mardi Gras open the period of Easter, which is an essential period in the Christian calendar, during which happiness and sadness alternate, until Easter, which is a day of great joy. 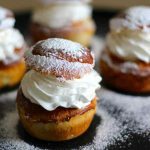 In Finland, Mardi Gras is called laskiainen. In Estonia, Mardi Gras is called Vastlapäev. In Finland as in Estonia, this day is filled with different activities with family or friends. It is traditional to sleigh and, to warm up with pea soup with ham, a bit like snert from the Netherlands. In Russia, Mardi Gras is called maslenitsa which means “crepe week”. It is a folk festival that dates from the pagan era. It is celebrated the week before the Great Orthodox Lent, seven weeks before Easter. In Switzerland, in the canton of Friborg, an old tradition persists in the villages of Villars-sous-Mont and Neirivue. Indeed, on the morning of Mardi Gras, all the schoolboys parade to the rhythm of city drums, door to door, disguised as soldiers, while singing and collecting coins. In Anglo-Saxon countries, traditions are different but related to the Latin Mardi Gras called shrove Tuesday. In some areas, this traditional festival is also called “Pancake Tuesday”. In New Orleans, the carnival is named “Mardi Gras” (French for “Fat Tuesday”), and it is probably the most popular tradition over there. 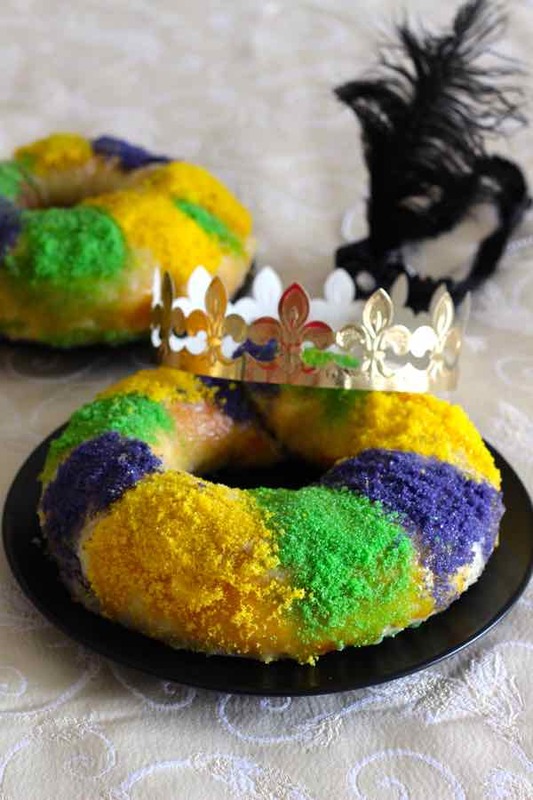 New Orleans is also where today’s king cake comes from! New Orleans, the largest city in the state of Louisiana, is a city that stands out in the American landscape. The tradition of Mardi Gras in New Orleans was introduced in Louisiana by the first French settlers, and officially started on Tuesday, March 3, 1699. New Orleans is very proud of its history, its glorious past, its incredible cultural and artistic heritage. One of the greatest expressions of this “cultural freedom” that has lasted through centuries is therefore its Carnival, a typically European tradition that has no equivalent anywhere else in the US, if not New Orleans, the only city whose French heritage is a true source of pride. This makes the city so unique, so different from the rest of the United States. The Carnival season begins at Epiphany on January 6th and culminates on Mardi Gras. The traditional colors of New Orleans are purple, gold, and green. Purple, for justice. Gold for power. Green for faith. These three colors honor the Three Kings who visited baby Jesus on the 12th day after Christmas, on Epiphany, which marks the beginning of the Carnival. You will notice that these are the three colors of my king cake today. 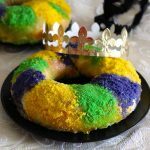 The king cake, sometimes called three kings cake is the equivalent of the traditional French galette des rois, or Spanish roscon de reyes. 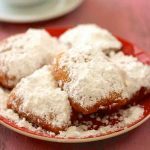 It is an integral part of the Mardi Gras tradition in New Orleans where hundreds of thousands of king cakes are consumed during the Carnival period. In the Christian faith of New Orleans, the coming of the Three Kings carrying gifts to the infant Jesus is celebrated twelve days after Christmas. This festival is called the Epiphany or the Twelfth Night. 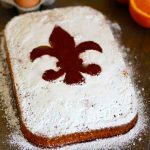 A popular custom was and still is to bake a special cake in honor of the three kings called the king cake. 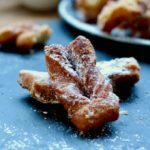 King cake can be either a round or oval-shaped crown with a figurine that represents a baby that is often made with pecans, or sometimes plastic, porcelain or even gold. This figurine, placed inside the dough before baking, represents baby Jesus. The cake is then decorated with colored sugar in the three colors I mentioned: purple, green and gold. 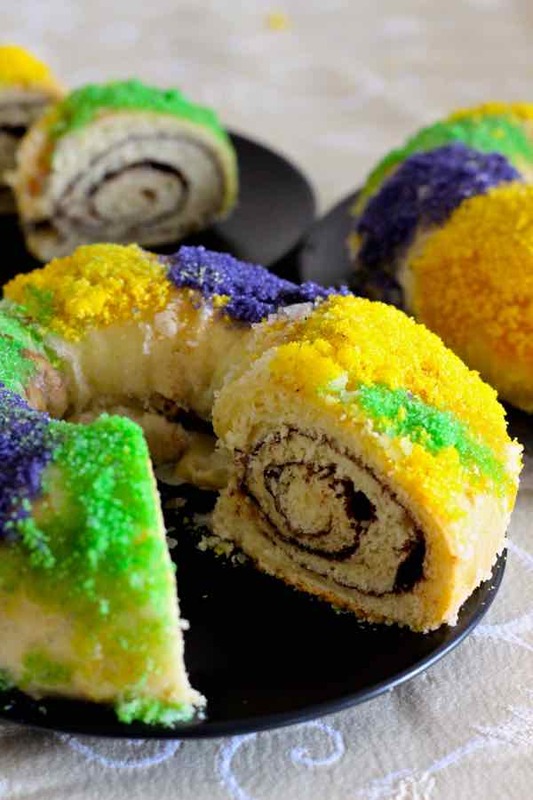 There are several recipes for king cake. 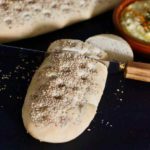 I chose to make the most common and most traditional: a dough that is rolled and filled with cinnamon. 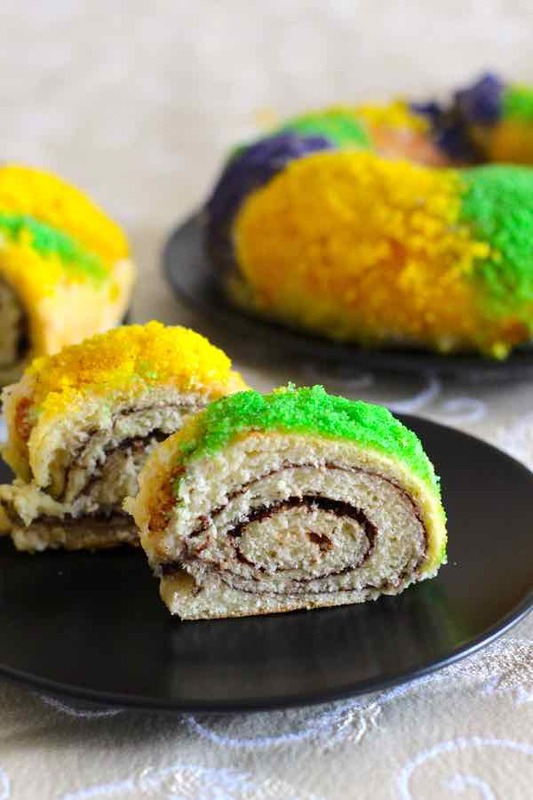 King cake, one of the most popular Mardi Gras traditions in New Orleans, is a delicious cinnamon-filled glazed cake that is sprinkled with colored sugar. In a saucepan over medium heat, heat sour cream, sugar, butter and salt, stirring constantly until butter melts. Add the lemon and set aside until the mixture reaches a temperature of about 100 F.
In a bowl, mix the yeast, warm water, and 1 tablespoon of sugar and let stand 5 minutes. In a stand-in mixer, whisk the cream mixture, the yeast mixture, the eggs and 2 cups of flour at medium speed until a smooth mixture is obtained. Reduce to low speed and, using the dough hook, gradually add the remaining flour (about 4 cups) until a homogeneous and soft dough is obtained. Place the dough on a slightly floured surface and knead it for about 10 minutes, until it is smooth and elastic. Place the dough in a large greased bowl and grease the dough on the surface as well. Cover and let rise in a warm place, protected from air flow for 1 hour, until dough doubles in volume. Punch the dough and divide it into two equal pieces. Roll each piece of dough with a rolling pin into a rectangle about 20x12 in. Spread the butter evenly on each rectangle, leaving a 1-inch border. Mix the sugar and the cinnamon, and sprinkle evenly on each rectangle of dough. Roll both rectangles on the long side. Place them on a baking sheet, with the opening facing down, lined with parchment paper and attach the ends of each roll to form a crown. Moisten and pinch the edges together to seal. Cover and let rise in a warm place, for another 20 to 30 minutes. Preheat the convection oven to 375 F.
Place the crowns on a rack for about 10 minutes. In a large bowl, combine the sugar, the icing sugar, the melted butter, the lemon juice, and the vanilla. Incorporate first 2 tablespoons of milk, and add extra milk, 1 teaspoon at a time, until the consistency is silky and not runny. Spread the icing evenly over the cakes. Sprinkle colored sugars by distinctly alternating strips of colors. In the icing ingredients, you have caster sugar and icing sugar listed. But in the directions, you don’t use caster sugar. In the list of ingredients for the dough, 2 tablespoons of lemon juice are included but never listed in the instructions. Please clarify this as well as the previous persons comment of caster sugar being listed in the list of icing ingredients but not mentioned in the instructions. Hey Rhonda and D, sorry about the omissions. We just edited the recipe to reflect the changes. Thanks again for picking this up! Made it! Absolutely delicious. Might I suggest adding the temp/time for a conventional oven? I made it in one and had to add more time on because I obviously did not read the convection part. 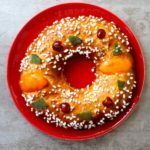 Everything else with this recipe is perfect, from the slightly sweet bread to the lemony sweet glaze with sugar crystals. Easy to put together! Thanks, Emily. So glad you loved it. Well, we try to give one recipe to follow, and we cannot account for all the variations of the same recipe. When we specify a convection oven, it is because we believe it will give the best results. If people want to use a standard oven, that is fine too, but we cannot give all the permutations of the same recipe, especially if we haven’t tried them. However, it might be a good idea to have a global glossary and FAQ to give general standard conversions and adaptations like this one.